It's time for another edition of Blogging Marathon. The third week will have me making Lunch Box recipes for Kids. I know it's vacation time for kids and you must be wondering what I am thinking, doing this theme. Well one has to be planned ahead right! So the objective of this series will be to make dishes that my kids would love to carry in their lunch box. Atleast I mostly make these dishes for my daughter who just entered her teens. So you can assume these dishes would fall under the age group of 10 - 15 years. I am hoping my boys would soon take a liking to these dishes. They have started getting used to new dishes. When it comes to chocolates and dessert, they have no hesitation, however these dishes don't appeal to them. However the dishes I would post surely meets my daughter's approval. As India witness historic moment, we tread our regular marathon, hoping and wishing for many more successes! Wash and peel the outer skin of the radish. Grate the radish and store the water to knead the dough. To make the outer layer. Knead the wheat flour with salt and water from squeezed radish and more water if required, to make a soft dough. Rest it aside for 15 mins. Heat a non stick pan with oil. Saute the squeezed radish well and then add the spice powders. Saute till dry. 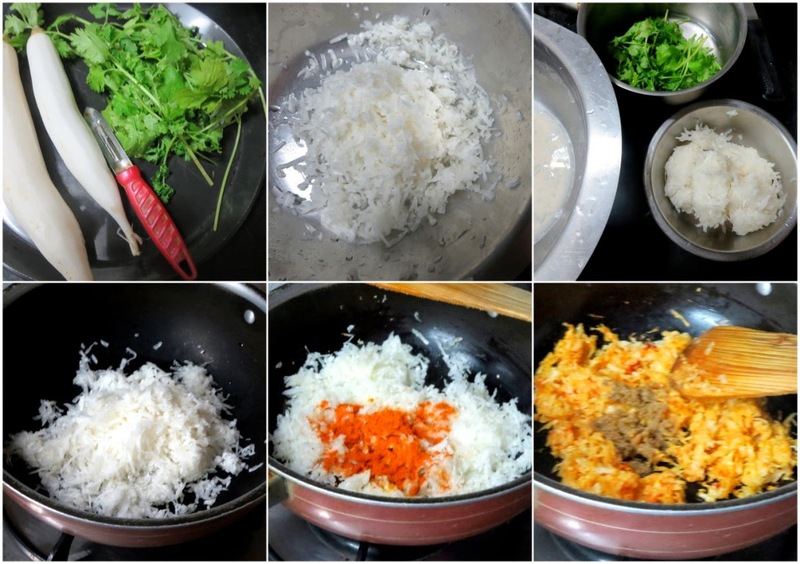 Add finely chopped coriander leaves. 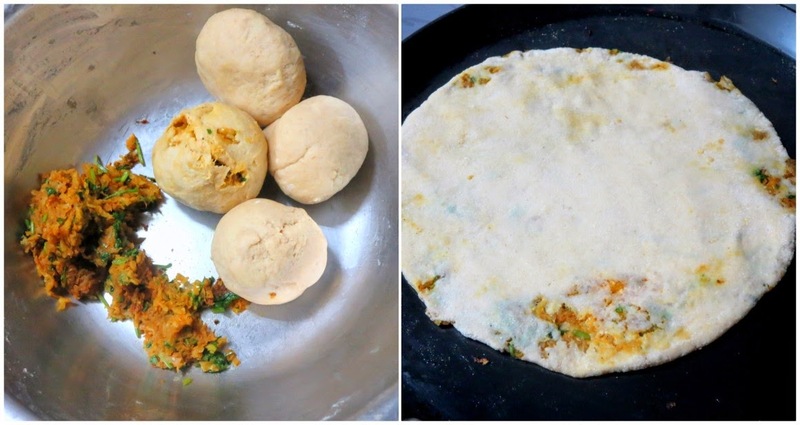 Now pinch out balls from dough, press in the center, stuff with filling, seal well and cook in a hot tawa. 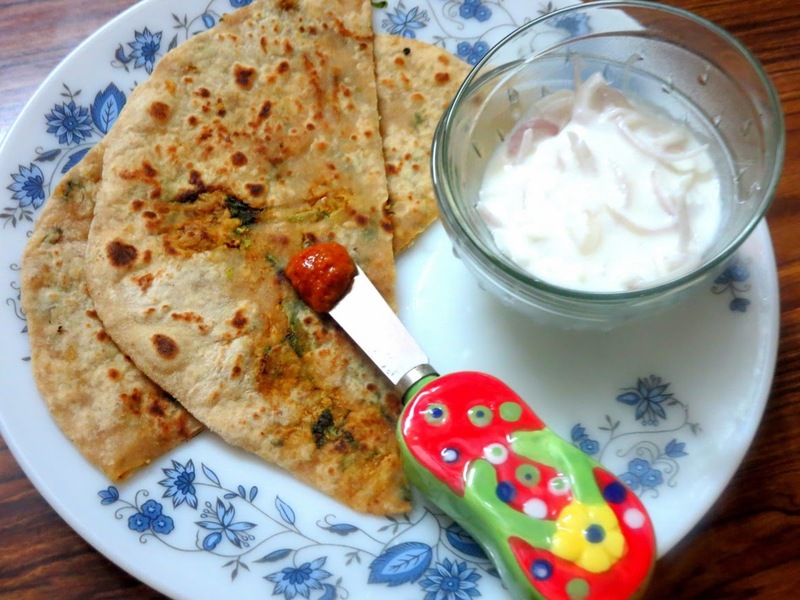 Parathas always make a great lunch dish. 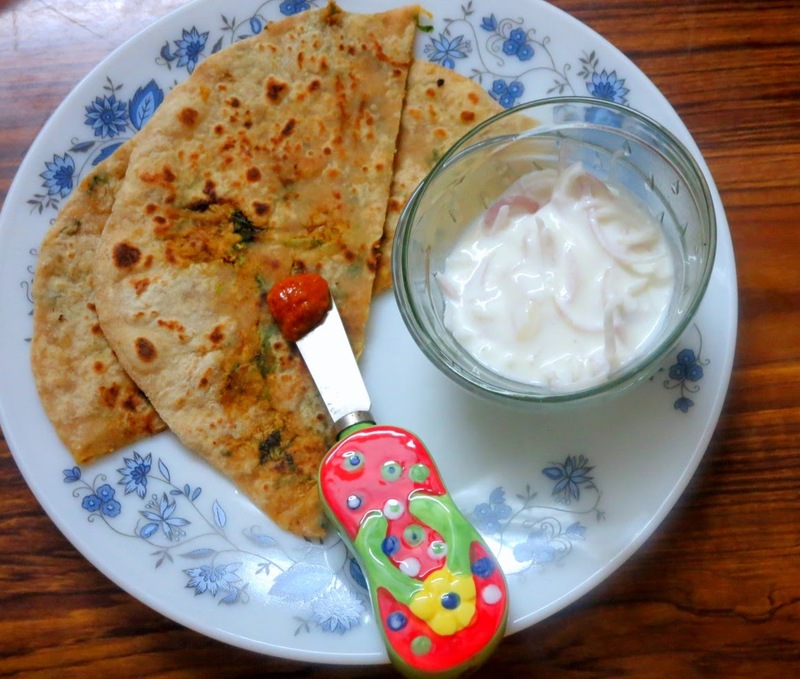 Konda loves carrying stuffed parathas for her lunch. Sending this to Jayanthi, who is hosting my Kid's Delight, themed on Lunch Box Recipes.